Zombie Gunship developer Limbic Software has decided to give something back to early adopters with the game’s first major update. Version 1.1 turns Zombie Gunship into a universal app, meaning users can play the game on both their iPhone and iPad with a single purchase. This is an unexpected and generous move on Limbic Software’s part, as most developers choose to release an iPad version in addition to the basic iPhone game. Releasing a standard version alongside a “high definition” counterpart tends to result in improved profits for developers. Besides native iPad support, the latest Zombie Gunship update offers an enlarged ‘Fire’ button in addition to several performance tweaks and bug fixes. 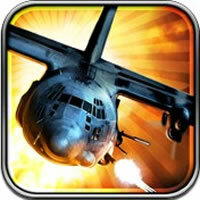 Click here to read Tapscape’s complete Zombie Gunship review.